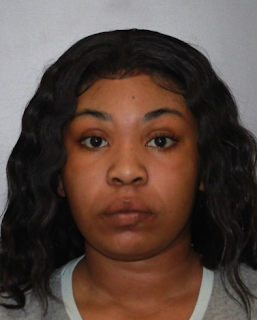 A 23 year old Buffalo woman was charged with Criminal Possession of a Controlled Substance 7th, Unlawful Possession of Marijuana, and Aggravated Unlicensed Operation 3rd on June 26, 2018 following a routine traffic stop. Acording to New York State Troopers, officers stopped Brittany A. Young on State Route 77 in the Town of Darien for speeding. While interviewing the driver, Troopers detected the odor of marijuana emanating from the vehicle. Young was found to be driving on a suspended license and was also found to be in possession of marijuana and a controlled substance. Young was placed under arrest and arraigned in the town of Darien Court. Young posted $500.00 cash bail and is to return to the town of Darien Court in July 2018.